The MkVI Bentley arrived in May 1946, Rolls-Royce branching out by introducing standard bodywork but retaining the tradition of a separate chassis for their immediate post war models. 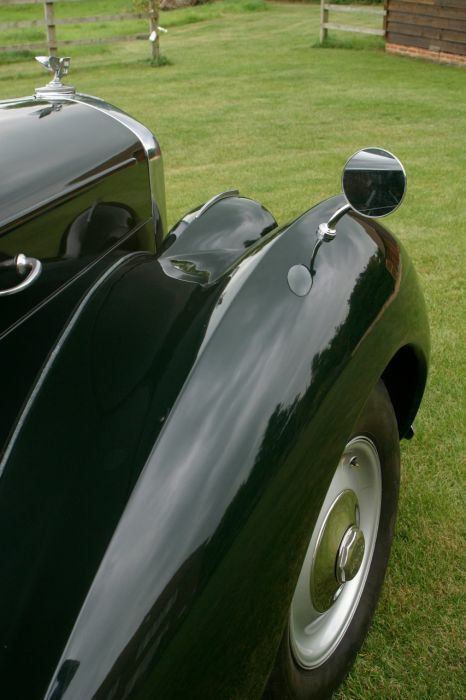 The ‘standard steel’ bodywork was available at first only on the MkVI Bentley, with the equivalent Rolls-Royce Silver Dawn arriving in 1949, coachbuilt examples of course available for those that could afford the expense so soon after hostilities had ceased. Few coachbuilders were able to significantly enhance the balanced lines of the standard coachwork however. 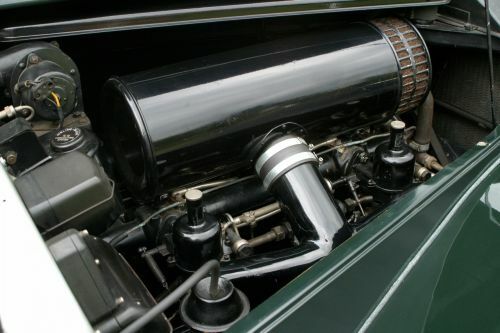 Notable features were independent front suspension and hydraulic front brakes, while a new 4,257cc six-cylinder engine featured inlet over exhaust valve gear and manual transmission. 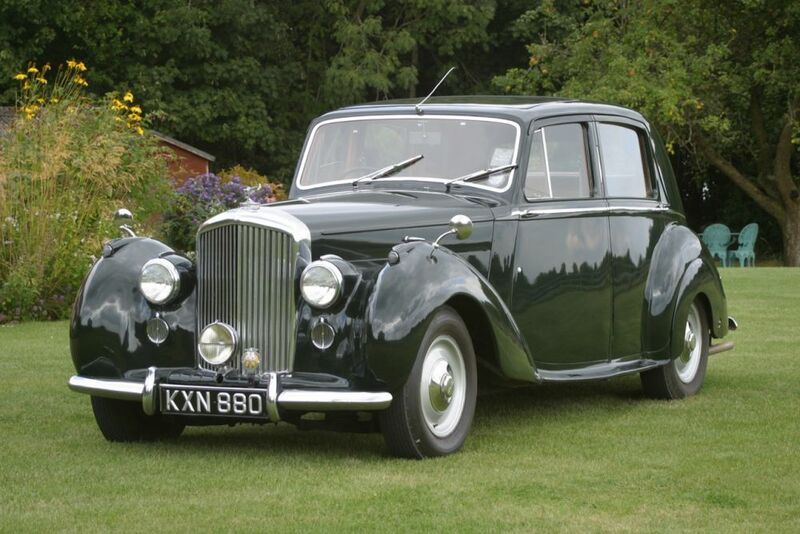 First registered to Major D. Callender of Ayrshire on 28th November 1949, this car was later sold to a Mr Lee-Barker of Torquay in 1955. 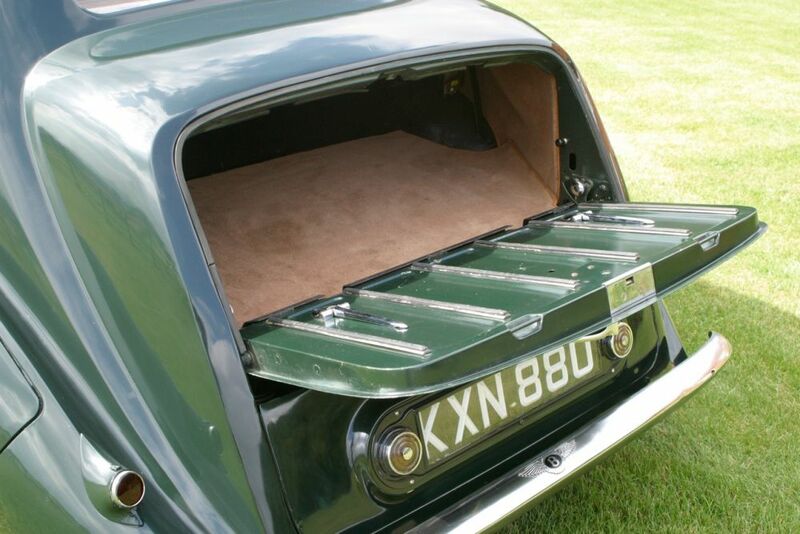 For some 40 years from 1961 to 2001 this car was in the ownership of a large quarry owning family, Foster Yeoman in Somerset, the car later being rescued from their barn in the 1980s, emerging again in 1997 after an extensive restoration, with further work for the family carried out in 2001. 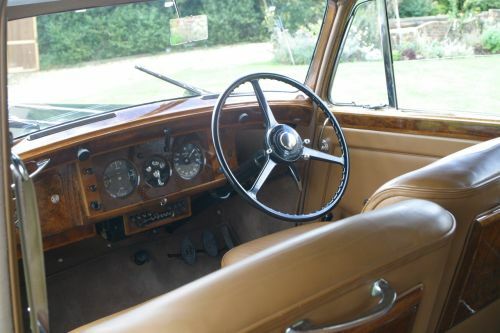 The body-off restoration included stove enameling to the chassis, rebuilt engine, gearbox, and axles, rewiring, suspension and braking overhaul, exhaust renewal, and a full interior re-trim and body repaint, together with new chrome work, all details of the restoration on file, the original working-order radio still fitted. 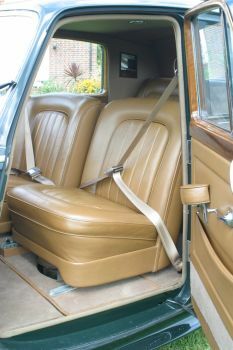 A full flow oil filter and front and rear inertia reel seat belts were also fitted. 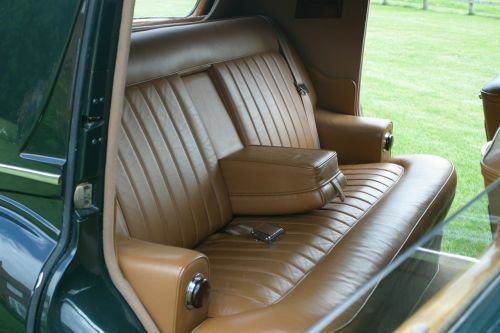 On completion we understand this car was put into storage, covering just 300 miles or so before being sold after 40 years’ ownership to the next owner in 2001. 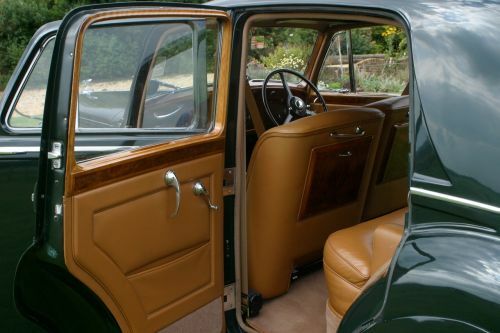 Finished in an appealing Connaught green with tan leather and beige carpets, this car was used for about 3000 miles in this ownership before being acquired by the vendor in 2003. 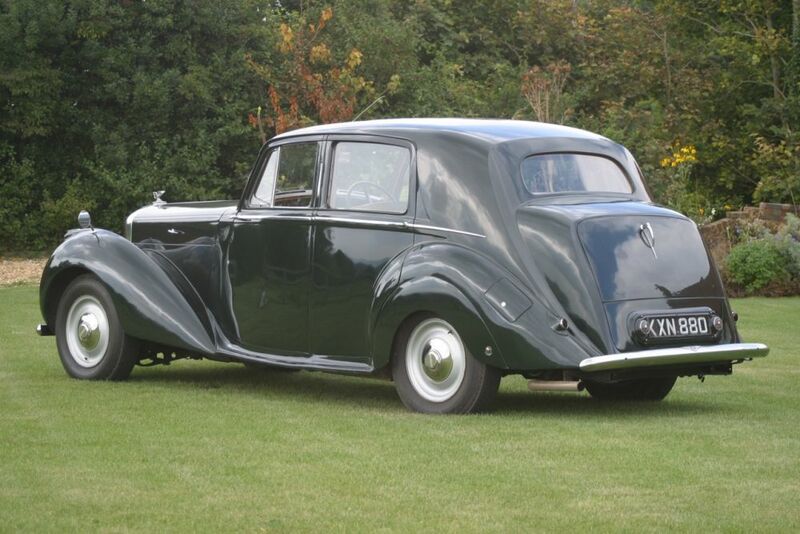 Used sparingly since, this very presentable MkVI performed as it should on an extended test drive, 70mph quietly coming up with graceful ease. Due to a change of plan and new aspirations, this car is offered today, together with a Broughtons of Cheltenham condition report, copies of the build sheets, V5, RF60 old log book from 1961.